The Dubai based junior sports club Warriors has secured a major sponsorship deal with the Chevrolet brand through an agreement with the Dubai and Northern Emirates dealer Al Ghandi Auto. The club offers a range of sporting opportunities to children including rugby, football, netball and cricket and arranges club based training sessions from which their teams are able to participate in organised leagues and tournaments in the region. Al Ghandi Auto will have the Chevrolet brand logo emblazoned on the front of the burgeoning club’s shirts, in a marketing move which looks to underpin professional sports sponsorship deals, such as Chevrolet has with Manchester United, by also supporting grass roots sport organisations in the local community in which the local dealers operate. The club, founded in 2013, has already won silverware in the junior rugby leagues organised by the UAE Rugby Federation, and is pushing for promotion in Dubai Sports City Football Academy’s organised league in the coming term. Catering to junior players across multiple sporting codes, the sponsorship funding will help underpin the services the club can offer to its members – by providing facilities, sports equipment and coach education and training to enable the club to build on the success it has already experienced since its launch. “We are extremely excited about nurturing a long term relationship with Al Ghandi Auto, and are pleased that our club ethos appeals to major international brands such as Chevrolet. 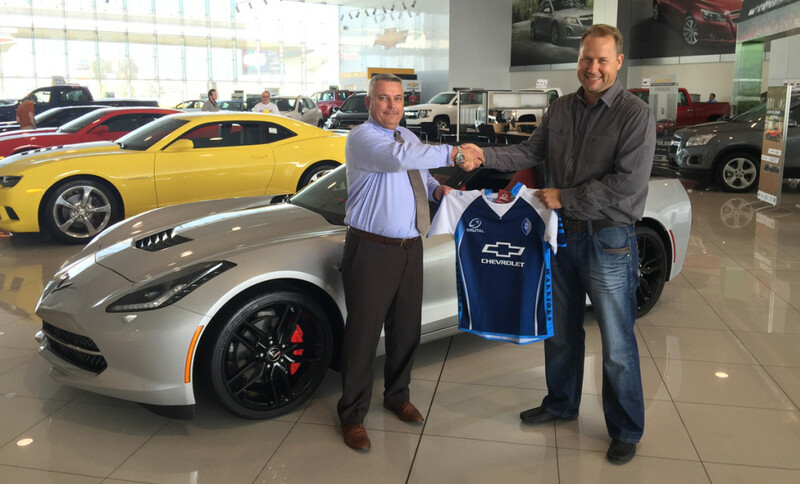 We expect our association with Al Ghandi Auto to help raise the profile of our club in the region, and in turn we can offer their Chevrolet brand exposure directly to their potential customer base through our association with family units” says Brett Wastie, Club Founder and Chairman of Warriors.